Create-A-Latte. We would not want you to miss any of these wonderful projects. 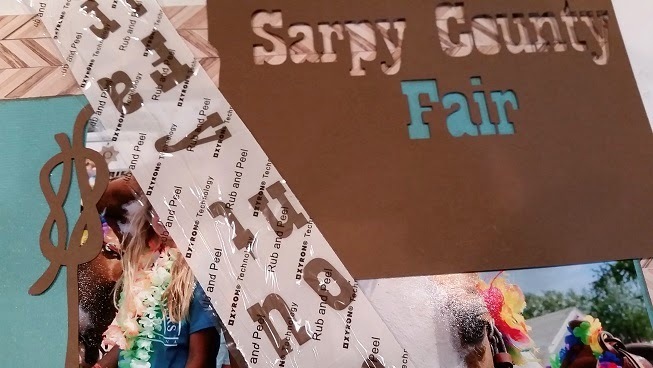 I just love printing on burlap right now!! I purchased the 8 1/2 x 11 sheet of laminated burlap from Wal-Mart. It comes in a 3- pack for just under $3.00. I colored in the words of this design from the Silhouette store and printed it out on my computer. I trimmed the burlap down to fit the 8 x 8 piece of wood that I painted black. 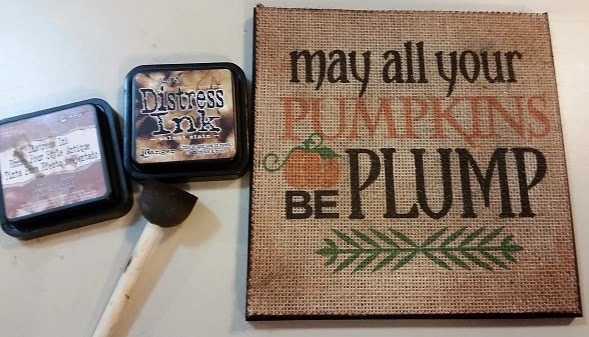 I inked the edges of the burlap with Walnut Stain ink. I used the sponge to ink the outer edge with Vintage Photo. I used my ATG gun to adhere the burlap to the wood. 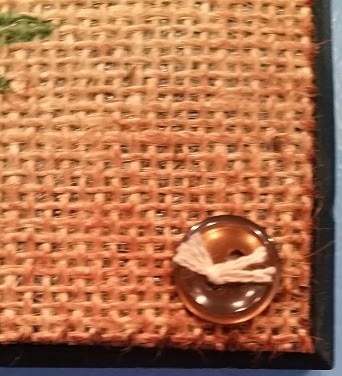 I tied some light brown DMC floss through my brown buttons and glue-dotted them to the four corners. I have a wonderful fall piece for my entryway table. I just love fall and fall colors!! 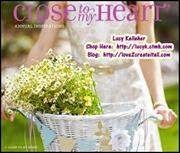 This month we have a wonderful Sponsor, Lucy Kelleher with Close To My Heart, and she has a fantastic giveaway to share with you today. 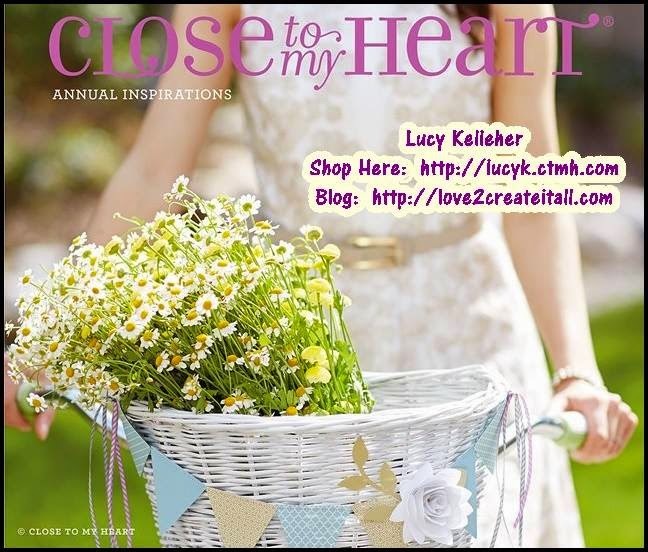 Lucy is giving away a $10 Gift Certificate to her store. line-up of today's hop for you to get back on track and not miss a single project. 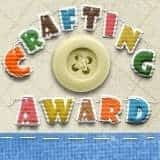 Thank you for hoping along with us today and I hope that we have inspired you to get your craft on. 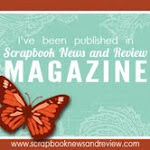 Today I am featured at Frosted Designs and Let's Scrap!! 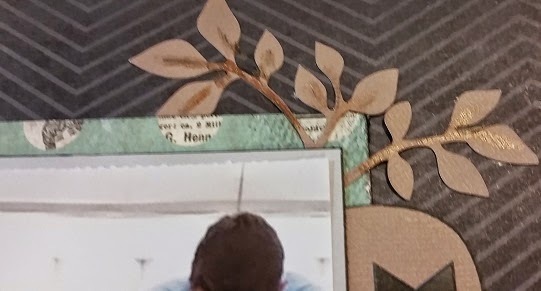 Today begins our newest sketch challenge at Let's Scrap! I typically catch up on my son's scrapbook in the fall and winter since our activities slow down. 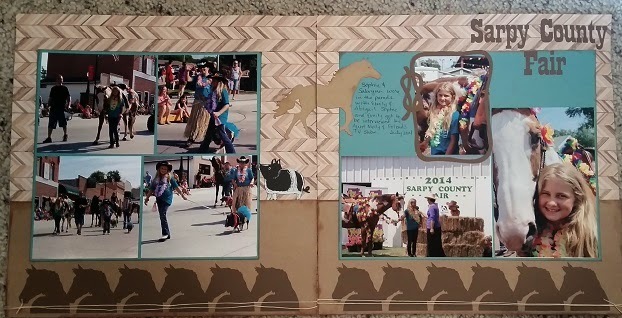 Today I created a two-page scrapbook using our newest kit (We Are Family) and a sketch. We have an amazing zoo in Omaha, NE. Our newest attraction is the Sting Ray Pool. You can pet and feed the rays. They are very cute and show a lot of personality! 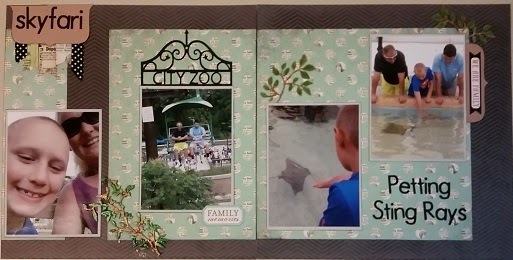 I grabbed a few sting ray photos along with Skyfari photos (a slefie of Tanner and I and a photo of Mike and Tyler in the car behind us). When I have several photos I like following a sketch - especially when I don't have a lot of time. Here was my original idea designed on my Cameo. All good ideas evolve! I wasn't sure what to do with the leaves until I looked a little further into my kit. 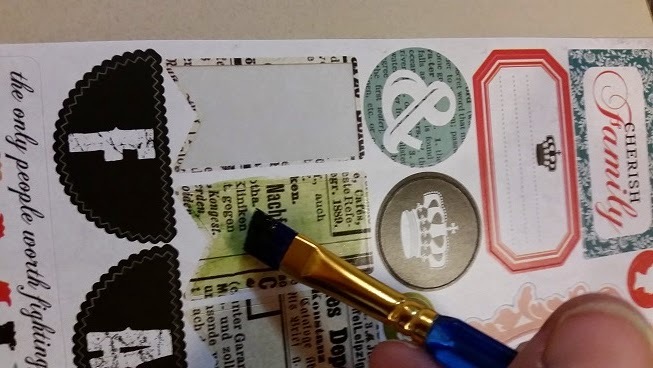 I used Carta Bella SCRIPT DOTS paper from our We Are Family kit. I order an extra set of papers each month so I can put together 2 page layouts. 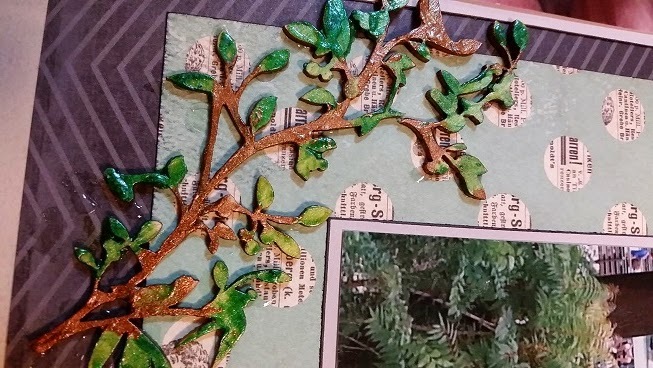 I used brown and green Miracles mixed with Glossy Accents to paint the wood tree branch. Above I mixed the green powder. I accidentally broke off a piece of the branch - no worries I will adhere it down in place. I used Glossy Accents to adhere the tree branch to my layout. 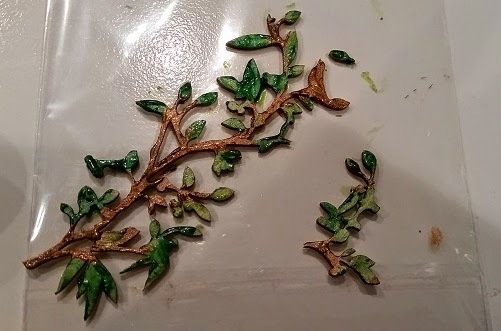 I used my Cameo to cut out some more branches and painted Miracles on them as well. I used the Miracles once more. 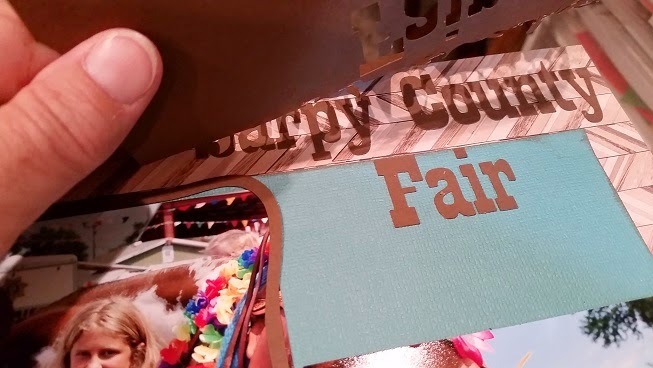 I thinned them down a bit with extra Glossy Accents and painted the banner flags. 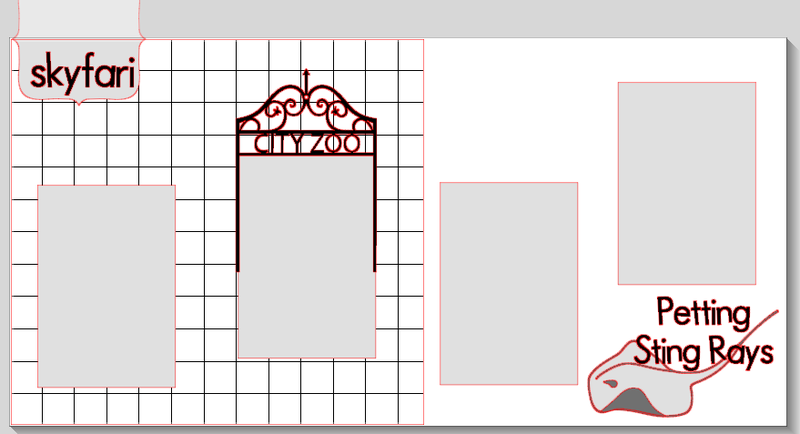 I cut out my titles, City Zoo fence and tabs with my Cameo. I inked my papers with my black PITT artist pen big brush. I used a couple of stickers from the kit and a bit of washi tape. My nieces have horses and a pig, as well as chickens, dogs and a cat. They live in the country and are also part of a horse club. Every year they are in the Sarpy County Parade and we go watch. 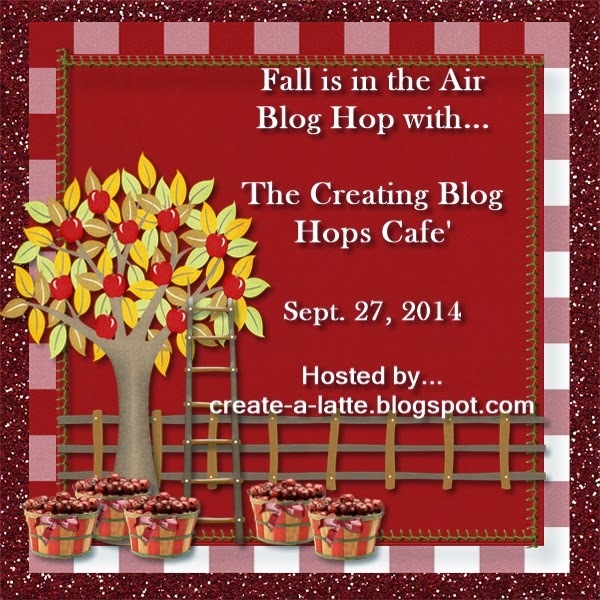 I thought this would be the perfect layout for today's blog hop! I followed this sketch from Let's Sketch where I am a DT Member. We have weekly challenges HERE if you want some motivation to get your photos scrapped! 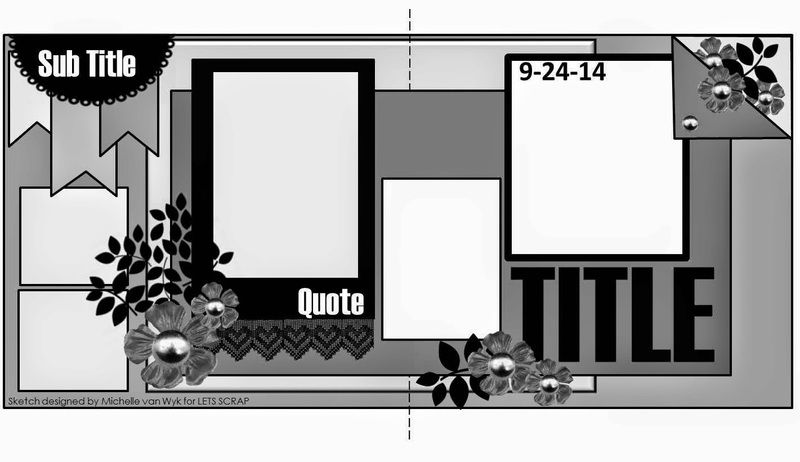 I used my cameo to design my title and border. I added a pig (trimmed off the piglet), a horse and the rope frame. I welded 6 horse heads together to create a border for each page. 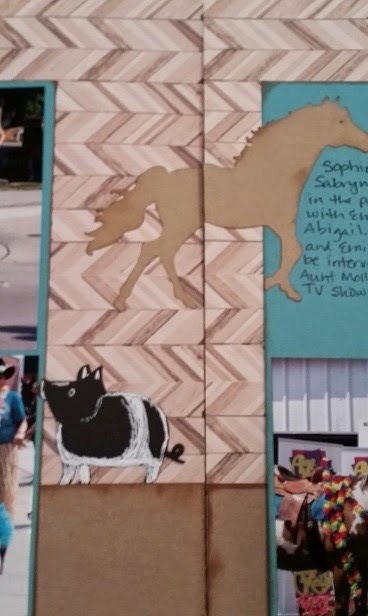 I cut the horse out of brown paper and inked the edges. I cut the pig out of black cardstock and used my white gel pen to add some details to her. 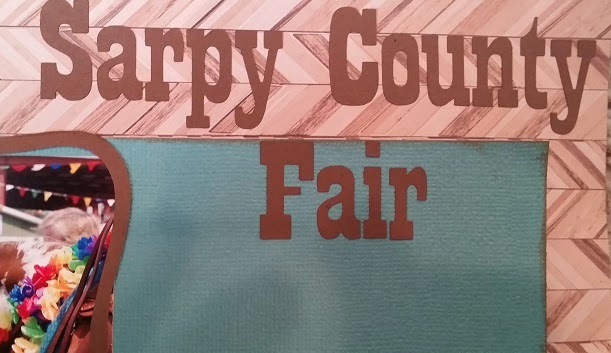 I saved the negative space from my title to use as a template. I ran the letters through my 1" Xyron. I stuck down the letters in my template. 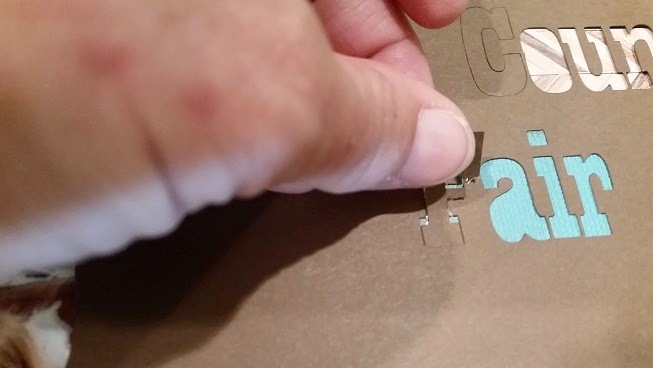 I rubbed the letters a bit to get the extra adhesive off (I call them glue buggers). Once the letters are stuck down, I gently peel up the template. And the title is on! I added a bit of journaling. 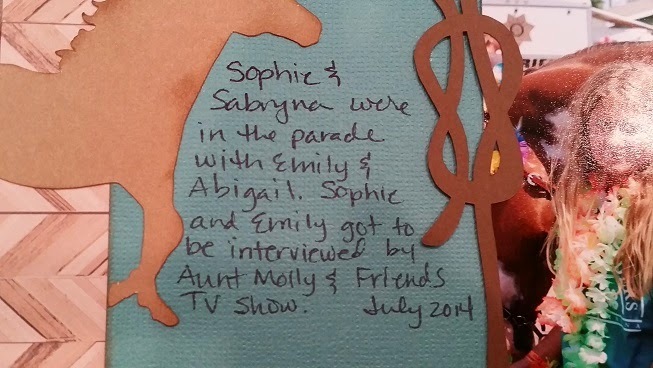 My niece Sophie was interviewed by a local tv celebrity - Aunt Molly and Friends TV Show. Emily kept trying to eat the hay backdrop!! I was very proud of Sophie as she really did not seem excited to give an interview! I tied a bit of twine around the horse borders. I really like how this one turned out! Thanks for stopping by. I love horses! 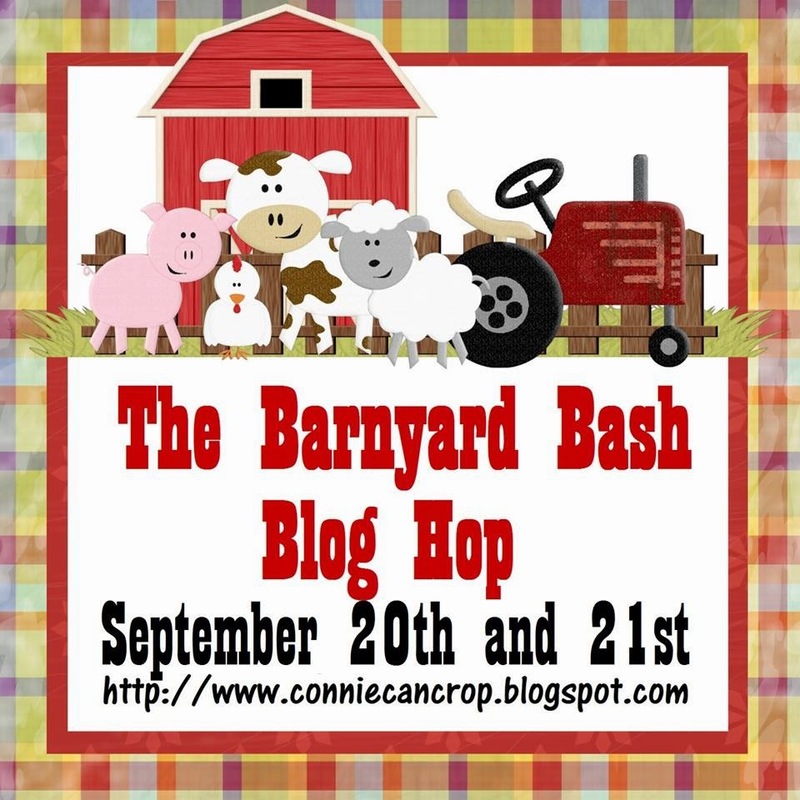 What is your favorite Barnyard Animal? 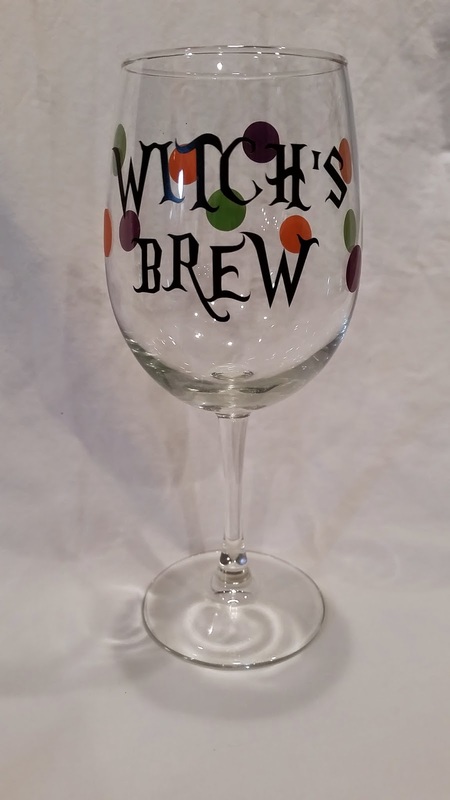 I started selling my wine glasses at Twisted Vine - a paint and sip place that also sells handmade crafts and antiques. It is a very cozy shop located in downtown Papillion where I live. 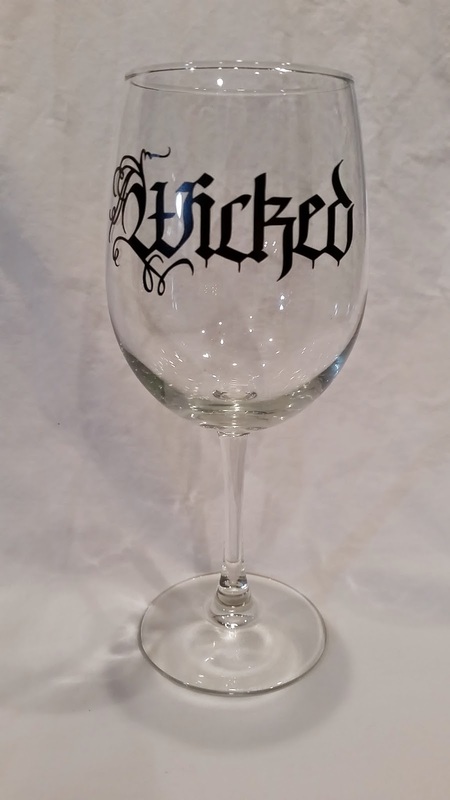 I decorate wine glasses, mostly with vinyl. I custom make them if requested. If you are interested, leave me a message and I can give you pricing. Some of these were sold in the store, and others were orders for friends and lovely people I met at my craft shows. 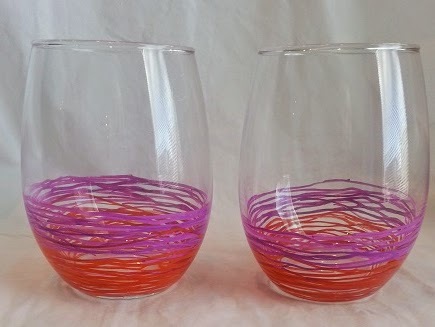 These stemless wine glasses were hand painted. I made them as a set and love how fun they look! 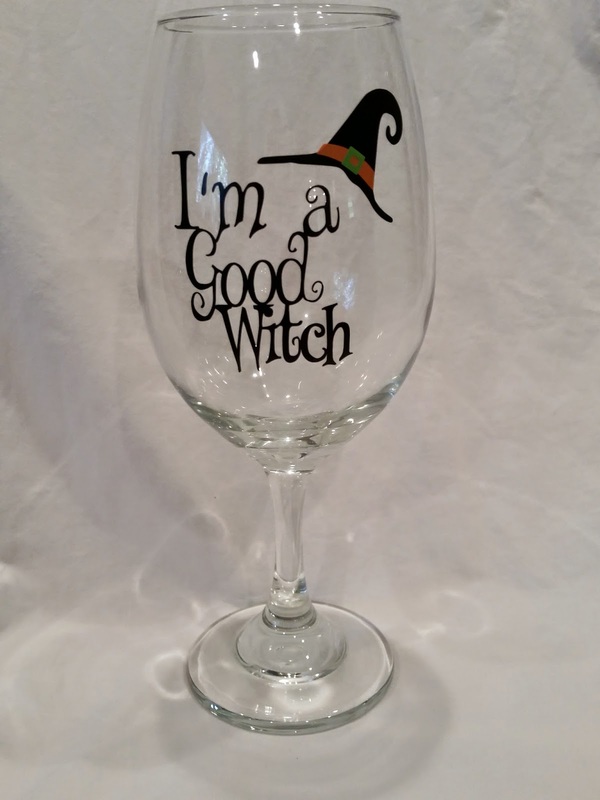 I love Halloween and made some fun glasses. These are a sampling of the glasses I made. 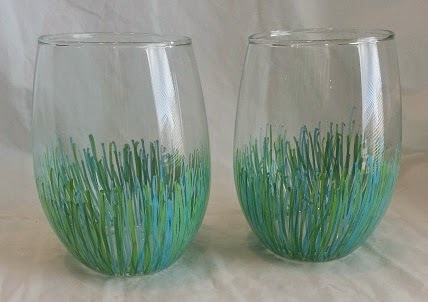 I can put popular sayings on wine glasses using many colors. Black shows up very well when the glass has wine in it! I made these for a craft show in the fall last year. 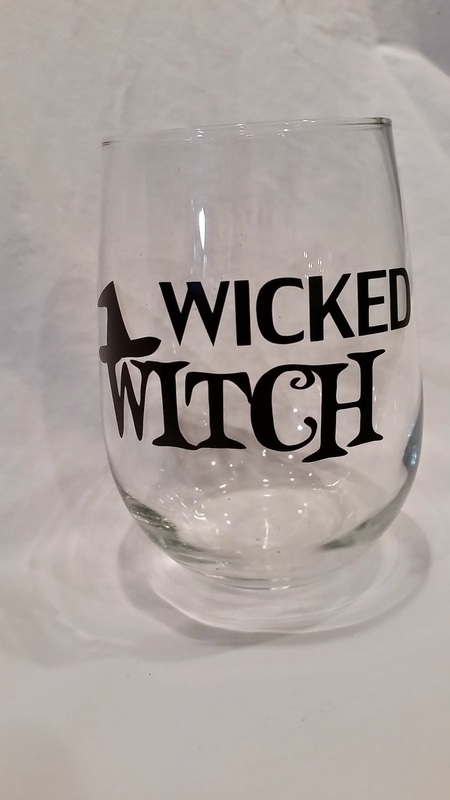 I made some personalized wine glasses and a Celebrate Today glass. The colors are picked out upon order. This is a popular one. I usually use black but the multi colors were requested! Natalie is a Husker fan, but I can not use the Husker logo. I improvised! Jingle Juice is yummy! This was a Christmas gift last year. I had a request for martini glasses. I loved how they turned out! 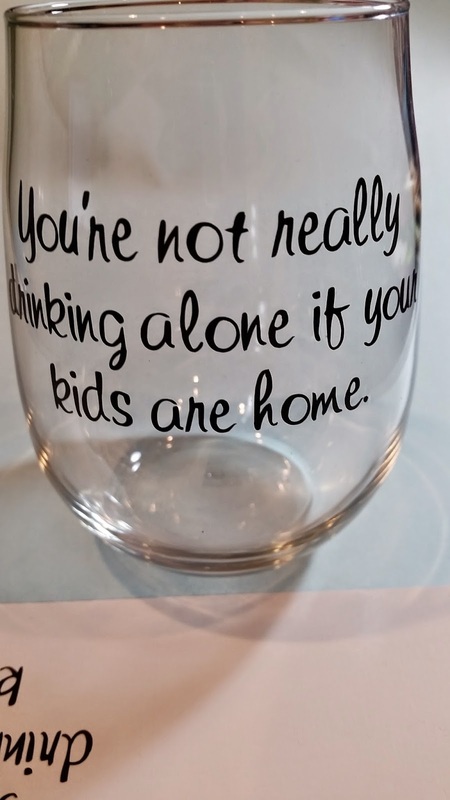 Another fun saying put on a glass. I have many more that I did not photograph. If you are local to Papillion, Nebraska please stop in at Twisted Vine. 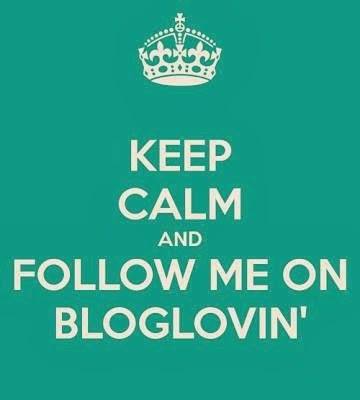 If not, you can leave me a message here for additional information. Halloween is my favorite holiday!! I love the fall colors and decorating my house and daycare. 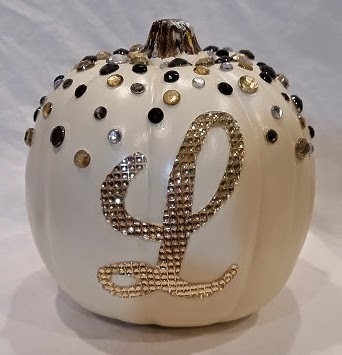 I found two different pumpkins on Pinterest that I loved - so I combined the two designs together. I put my "L" on the front and gems on the top. I purchased a 5 inch creamy white foam pumpkin from Michaels. 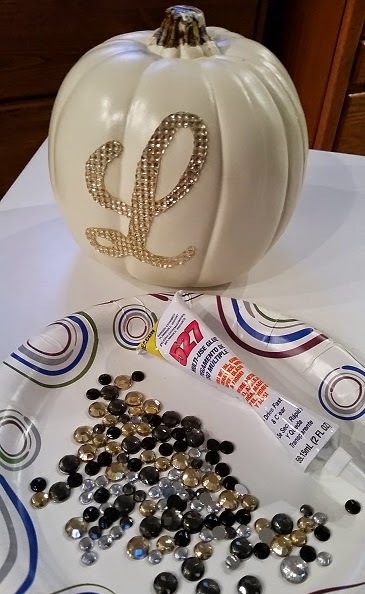 My "L" was cut from a piece of gold Buckle Boutique Rhinestone Resin Self-Adhesive Sticker Sheet. You can find these HERE (some colors are on sale right now too)! I used my Gypsy with my cricut expression. I got the "L" from Quarter Note. 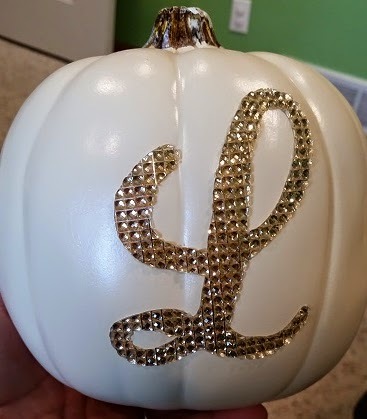 I measured my pumpkin and determined the "L" should be around 3.5 inches. I sized my "L" to 3.59 inches. I flipped the "L" to cut it out in reverse. The Rhinestone Sticker Sheets cut best face down on a sticky mat. My mat is not as sticky as I would like, so I taped the edges down too. 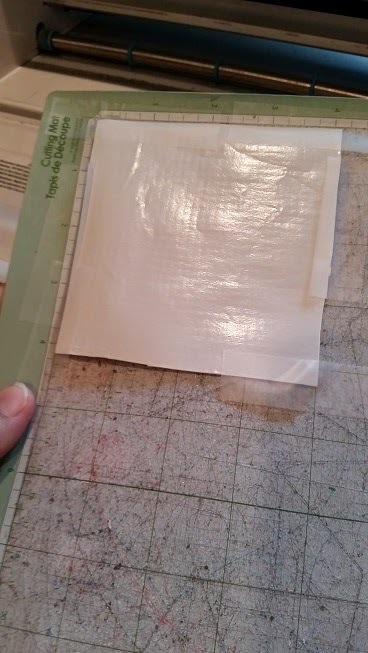 Place the product face down on the Cricut cutting mat, making sure it is in a very sticky spot. I usually run my hand over it to really make sure it is stuck down. 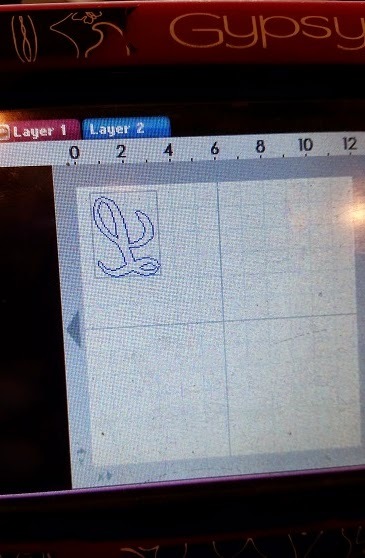 Here is the "L" cut out. 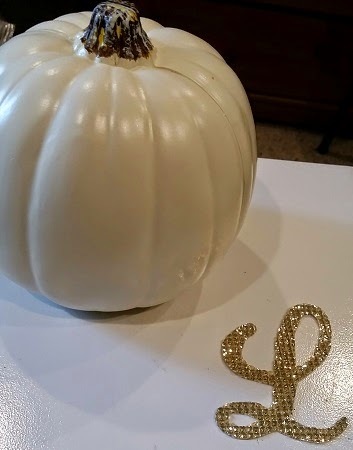 I peeled the backing off and stuck the "L" on the flattest side of the pumpkin. It looks pretty, but I wanted a little more sparkle!! 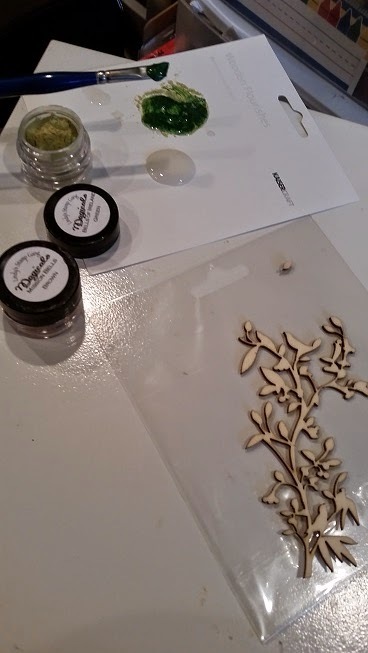 I purchased these gems from Michaels, The pack includes clear, gold, dark grey and black crystals in 3 sizes. I used Beacon 527 glue to adhere them to the top of the pumpkin. I put 5 or so dots of glue on at a time and stuck the gems on. I am so happy with how this turned out!! 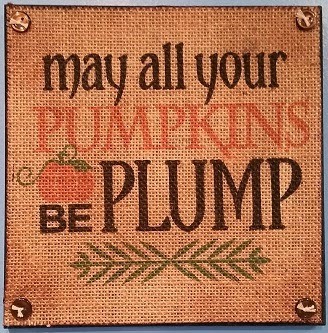 I hope you have a Blingy Fall! !